I often praise the NTSB for thorough and balanced reports but occasionally, there’s one that makes me wonder what the hell someone was thinking. The Night Ship final report fits into this category. The accident happened in 2002, on the evening of the 23rd of October. The aircraft was a Cessna 208B Cargomaster, registration N76U. The Cessna 208 is a single-engined fixed wheel turboprop popular for short-haul regional flights. It was owned by Mid-Atlantic Freight, Inc. The pilot was 54 years old and held an airline transport pilot certificate with around 4,500 total flight hours. His medical had the limitation that he needed both corrective lenses for distance vision and possess glasses for near vision. He’d previously worked as a Cessna 208 simulator instructor at Pan Am Flight Academy and as a pilot for the New York City Police Department. He was experienced, competent and knew the route. That evening, the aircraft departed Mobile Down Airport (BFM) in Mobile, Alabama with about 240 pounds of cargo on board. After departure, the pilot contacted Mobile Terminal Radar Approach Control (TRACON). Controller: Night Ship two eighty two, Mobile departure. Radar contact. Maintain three thousand, turn right, join victor [airway] four fifty four please. Night Ship: Roger, right turn, four fifty four. So at the time of this call, shortly after departure, Night Ship was flying at 1,000 feet and cleared to climb to 3,000 feet with a right turn to join the Victor airway 454. Two minutes later, the controller contacted him again to say that there was traffic in front of him. Controller: Night Ship 282, traffic at 12 o’clock of you and seven miles southbound. Heavy DC10 at four thousand. Night Ship: Night Ship Two is looking, I’m IMC. So straight ahead of him and at least one thousand feet above was a DC10 heading south. Night Ship was in cloud (Instrument Meteorological Conditions) and unable to see him. The DC-10 pilot said later that there was a layer of cloud starting at about 1,200 feet which topped out at 2,500 feet and then was clear at his level of 4,000 feet, with more layers above. There’s no real issue here; the two aircraft had vertical separation and there was no requirement for traffic advisories. The main reason he told Night Ship about the DC-10 was to explain why he hadn’t yet cleared him for a higher altitude. Controller: Night Ship 282, you’re still IMC but that DC10 is 1 o’clock and two miles southbound at four thousand. Night Ship: Roger. I got him above me right now. The Cessna was at 3,000 feet and initiated a gentle descent. Everything seemed completely normal until the next call about 15 seconds later. The transmission ended as the aircraft descended through an altitude of about 2,300 feet. The radar signal was lost. The DC-10 continued on its route at 4,000 feet, unaware of the descending aircraft behind him. A US Coast Guard airplane diverted to Night Ship 282’s last known location in Big Bateau Bay immediately; however he was unable to see in the low clouds and poor visibility. Two hours later, helicopters located the crash site. The aircraft was in a swamp located between Mobile and Spanish Fort. The water ranged from four inches to three feet deep, depending on the tide. The soft mud bottom of the swamp was 8-10 feet deep. The aircraft had been destroyed by impact forces. The wreckage of the Cessna was scattered over a 600-foot area. The investigators found “portions of all major components of the airplane” at the scene. The main fuselage was found in small pieces. The engine was producing power at impact. The recovered wreckage was transported to Atlanta Air Recovery in Georgia and examined. Then it was moved to the Safety Board’s Academy in Virginia for further examination. The investigators found that the airframe and cargo pod had red marks, concentrated on the lower airframe skin. The aircraft itself was pained “Sherwin-Williams Matterhorn White”. The red marks appeared to be paint transfer marks with signs of light scuffing in random directions. 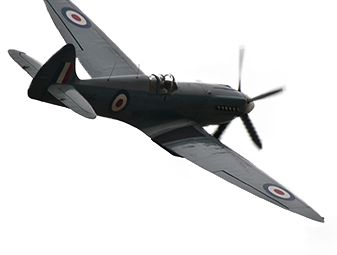 The streaks of red transferred material were found to be in approximately straight lines on the aircraft skin and the smaller streaks were approximately parallel to the two main streaks. Bending and folding of the skin section examined is indicated to have occurred after the streaks were deposited. Variations in thickness of the red material probably indicate local variations in pressure between the aircraft skin and the foreign object that transferred the red material. The wreckage pieces with red marks were cataloged and sent to various laboratories for analysis. The scuff marks were of varying shades of red and some of the parts showed more than one red mark. Most of the marks were on the bottom of the aluminum airframe, near the cargo pod bays. Most of the red marks were surface scuffs, without damage to the white paint or the aluminum. But some of the aluminim on the back edge of the left wing strut was dented which investigators believed was associated with the red marks. There were also red scuff marks inside the carge pod near the fuel resevoir drain tunnel, inside the left-side pod door and on a fragment of the pod’s interior corner. There was also a small piece of black, anodized aluminum embedded in the left wing. The DC-10 was investigated the following day but there was no sign of damage. The ATC controller was quite happy that he’d tracked the left-to-right crossing movement of the DC-10 and the aircraft never came near each other. He did not see any targets on the radar near the accident aircraft. The closest was a helicopter which had been flying in the general area about five minutes before the accident. The DC-10 was about 1.1 nautical miles ahead of the aircraft and 1,600 feet above it, so there was no way that the aircraft suffered from wake turbulance from its location behind and below the DC-10’s flight path. US Air Force, Navy and Air NAtional Guard were all contacted regarding any flights in the area. They all said that there were no launches that night and the USAF officials pointed out that anyway, the crash site was beyond their drones’ range. The closest military activity was a proficiency flight which ended 90 minutes before the accident. The red marks on the aircraft were the primary clue. They were tested against the contents of the aircraft, specifically named were the red cargo bag and the red pitot cover. The red marks were also compared to a piece of an unmanned aerial vehicle, the paint on the barge which had towed the wreckage to shore and even to the paint on a nearby lighthouse. 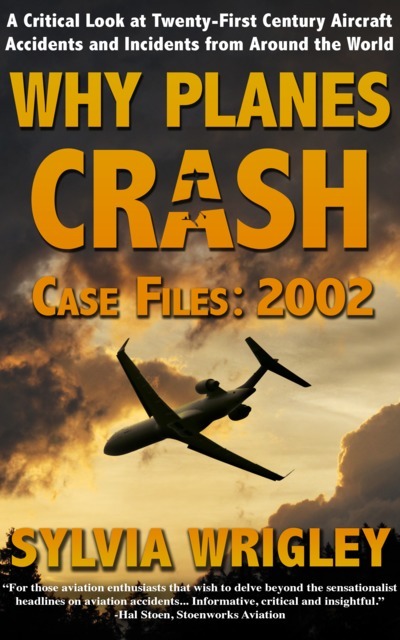 The NTSB report released in 2005 shows nothing but confusion. They explained that there was an issue with radar coverage in the area caused by an equipment problem, so they could not be sure who or what was in the area. They had not been able to discover the origin of the black metal embedded in the wing but stated that it was not believed to have come from the accident airplane. The report said that the red streaks on the skin of the accident airplane came from the same material and that the material was significantly different from the comparison materials that had been collected. That is, not from the cargo bag, not from the pitot cover, not from the barge nor the lighthouse, not from the piece of the drone submitted by the military. The report concluded that they had simply not been able to identify the source of the red streaks. Of course, there were theories. Many still believed that it was a stray unmanned drone that the military didn’t want to admit to. Others thought it could have been drug smugglers who apparently frequently flew over the swamp region “under the radar”. The name Night Ship 282 was theorised to be a code name rather than a callsign for a rendevous with a UFO. The pilot’s family believed that the aircraft was destroyed by wake turbulence from the DC-10. The wreckage was released to the insurers. However, it wasn’t the NTSB who had found the final propeller blade. The final blade had been found by the pilot’s sister, who continued the comb the site. The sister apparently recovered more than 700 pounds of aircraft debris, which reflected badly on the NTSB’s post-accident procedures. The NTSB, apparently in response to public pressure, announced they had reclaimed the wreckage for further examinations at the NTSB Academy laboratory facilities. 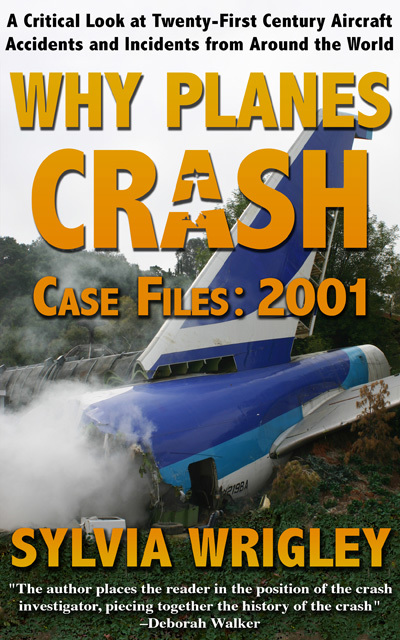 Then the NTSB held a press release to announce that they had solved the three-year-old mystery of the crash. The report, NTSB Identification: ATL03FA008 now had a notice at the top. !! NOTE: THIS REPORT WAS MODIFIED ON JANUARY 10, 2006. !! From the very first line, the details had been changed. On October 23, 2002, about 1946 central daylight time (CDT), a Cessna 208B Cargomaster, N76U, call sign Night Ship 282, operated by Mid-Atlantic Freight, Inc., entered an uncontrolled descent from an altitude of 2,700 feet mean sea level (unless otherwise indicated, all altitudes are reported as height above mean sea level) and crashed in Big Bateau Bay, Spanish Fort, Alabama, shortly after takeoff from Mobile Downtown Airport (BFM), Mobile, Alabama. The initial reference to a mid-air collision was simply removed. 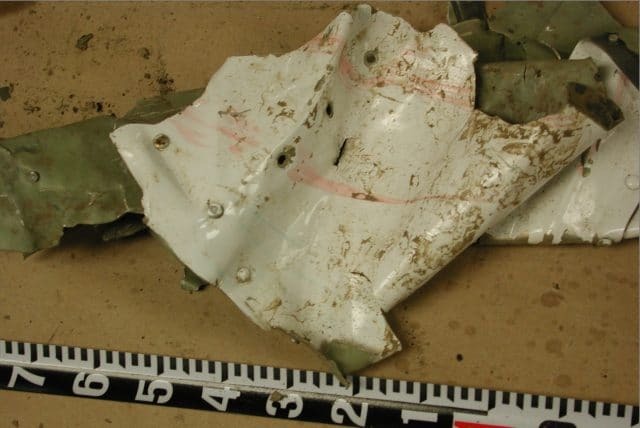 From the start, it was clear that there were a number of red items in the cargo, including the material of the cargo bag, baseball caps and audiotape packaging. In addition, the aircraft contained several red items, including red laminate electrical power distribution boxes, the pitot tube cover fabric, a tow bar, a tail stand, a fire extinguisher, engine hose material, a batter case, red-coated exterior engine plugs and plastic cockpit control knobs. Wright Patterson Air Force Base laboratory were cited again with a detailed explanation of how they had examined and compared 34 red-marked pieces of aircraft with 19 red reference items. However, this time, the laboratory examinations indicated that some of the red marks on the fuselage were consistent with the tow bar, the tail stand, the fire extinguisher and the extinguisher bracket. Also, three of the marks matched a postal service priority mail envelope. The new data was clear: most of the red marks were caused by parts of the aircraft or its cargo. The report pointed out that the red marks showed random directions of motion, which meant that it was unlikely that the marks had been caused by an in-flight collision with another aircraft. And finally, the small piece of black aluminum found embedded in the wing had finally been positively identified: it was a fragment from the lighting dimmer in the cockpit. The new version of the NTSB report explained that a sound analysis of his transmissions showed that there was no evidence of loud noises or anything that might imply an impact with another aircraft. The only change was the background noise increasing, which indicates that the cockpit area was still intact and that the airspeed was increasing. In addition, in the last of the transmissions, the overspeed warning activated. Then there was the third propeller blade which the pilot’s sister said she found near the instrument panel. The NTSB report said that the state of the propeller blades confirmed that the engine was running, as the blades were bent and twisted. Further, the hub pieces of the propeller had fractures consistent with overstress separation. And so, a new scenario came clear. It was night and the moon was obscured by low clouds. Although the pilot had been visual between the layers of cloud and clearly had the DC-10 in sight for at least a short time, there were no visible horizon references between the layers of cloud, which could have confused the pilot. Once the DC-10 was visually acquired by the pilot, it would have existed as a light source moving against an otherwise featureless background, and its relative motion across and rising in the Cessna’s windscreen could have been disorienting, especially if the pilot had fixated on it for any length of time. Maneuvering the airplane during this search would likely have compounded the pilot’s resultant disorientation. An simulation showed that the pilot’s view would show the DC-10 moving diagonally across his windscreen from his left to straight in front of him, with the DC-10 appearing to triple in size. The simulation showed that it was at this point, with the DC-10 in the centre of his windscreen, that the aircraft banked sharply before rolling through 90º. The investigators concluded that a combination of large control inputs must have taken place for the aircraft to impact in the final orientation and high ground speed. 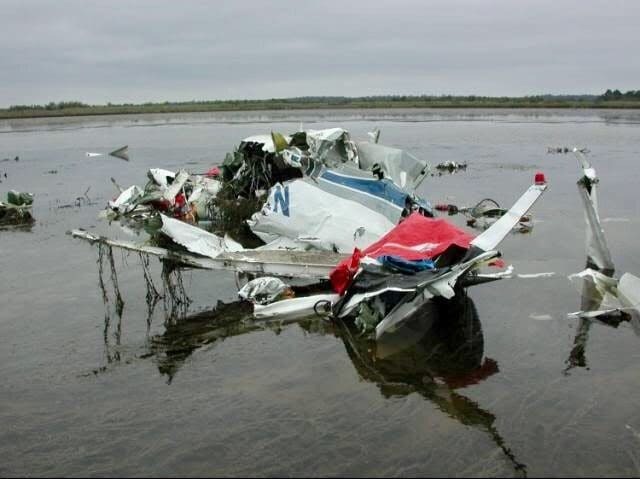 The National Transportation Safety Board determines the probable cause(s) of this accident to be: the pilot’s spatial disorientation, which resulted in loss of airplane control. Contributing to the accident was the night instrument meteorological conditions with variable cloud layers. Never before has a new report differed so wildly from the previous. When asked, the NTSB simply stated that the initial report should never have drawn such a conclusion. Still, there are open quesstions. What did the pilot mean when he said that he needed to deviate? 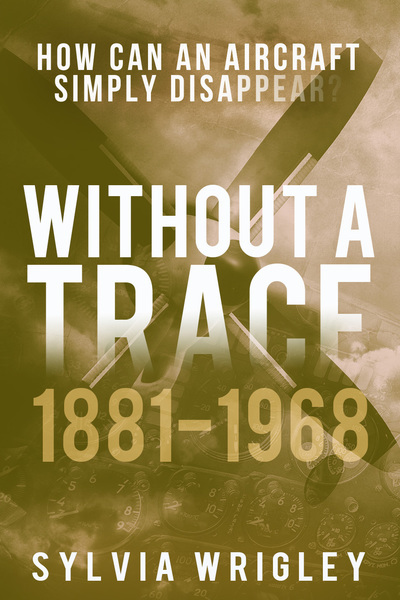 What had gone wrong with the initial collection, that the pilot’s sister was still finding debris from the aircraft years later? And what about the remaining 12 red scuff marks, which were never positively identified and were not matched to any of the red items on board? 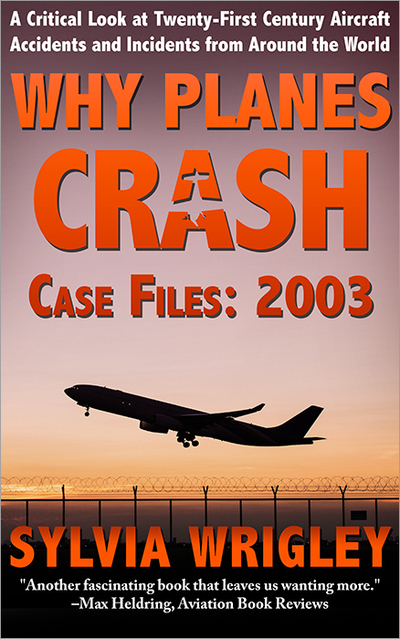 The case is closed but the story of the Night Ship crash remains a favourite both on conspiracy sites and aviation forums. The original report before the revisions is still accessible on the Wayback Machine search engine and the final report with the revisions is on the NTSB website. I was looking at that earlier this week. Definitely would NOT want to be that pilot. Could the red marks be blood from bird strikes? That would also explain the radio call. That would have been easily discerned in the lab when they initially tried to find the source. Just about any theory seems to be a dead end. Wake turbulence can indeed be extremely dangerous. I remember a Reims Rocket that had to be written off. The aircraft was awaiting take-off clearance at an intersection with the runway, when a “heavy” took off from the beginning. Passing the intersection, the wake of the large aircraft (may have been a DC8) was strong enough to flip the waiting Cessna upside down and it had not even been airborne. But it appears that wake turbulence can be ruled out as the cause of the accident featured here, and there is no clue as to what caused the paint markings and other bits of debris that appeared to have struck the Cargomaster either. A very weird one that at face value seems inexplicable.. The unexplained red paint marks could have been caused by the aircraft grazing literally any red-painted object in or near the bay. It could have been a boat, a lost shipping container, a fence or a hundred other things. It’s not surprising that some of the marks were not identified because it would never have been possible for the investigating authorities to test them against every possible source of red paint in the vicinity. The only thing the red marks prove is that at some point the aircraft was low enough to barely skim over man-made objects on the ground, which we knew already. Pilot disorientation does look like the most plausible scenario, and the pilot’s last transmission sounds like the words of someone who knows that he is in trouble and knows that he should contact ATC for help, but who is too confused to explain what precisely is wrong. Maybe the unidentified red marks were already on the fuslage? From before the accident? The radio call remains puzzling though.. deviate from what? Maybe he thought he was on a crash course with the dc10 and made an “evasive” maneuver that resulted in more disorientation and loss of control. I remember a time when I was a student pilot flying at night that I pulled into a hard bank and started a quick descent to deviate from a plane that was coming right toward us. It turned out to be Venus. I also remember a story from a few years back of a first officer on a flight above the Atlantic at night doing something similar that resulted in a 1000′ descent and some injuries to the cabin crew. Maybe the accident pilot had been looking at the controls and looked up right when the DC-10 was in the center of his view. With nothing else in his vision to compare it to, the lights on the DC-10 must have looked huge and right in front of him. I can imagine the fear that might cause so clearly, I’m getting chills. The hard control inputs for evasive maneuvers could have dislodged items in the cabin that bounced around and caused the scuff marks (it’s not clear to me from the excerpt whether or not the marks were on the outside or inside of the aircraft skin). The tow bar not being 100% secured or coming loose strikes me as particularly plausible. Ooops, you are right! The ones the spell-checker can’t see are particularly insiduous. Most vehicles have dash-cameras. Maybe about time all small a/c had them too?